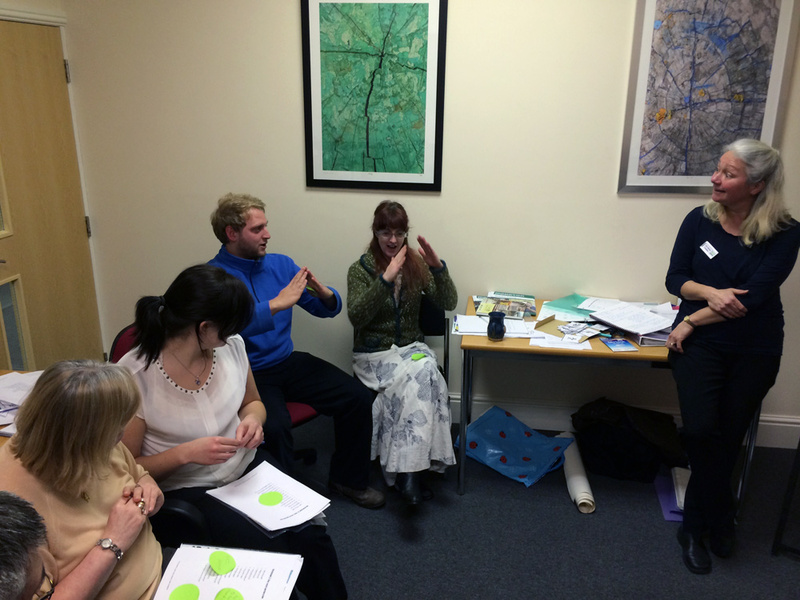 Before learning any of the signs in the Makaton ‘taster’ session, we were asked to work in pairs to try to see how easy or difficult it would be to communicate with each other without using any words or lip movements. One person had a picture and the other was asked to draw the items that were described. It was surprising how items could be understood without using words. We were taught about 30 basic signs, which included I, You, Where, What, Hello, House, Car, music and Book. We all had great fun learning these and we were all able to quickly put together a sentence using the few signs that we have been taught. Ann Marie was a great tutor, making the course informative and enjoyable.